Razer's Ripsaw HD takes aim at the Elgato HD60 S, but how does it stack up? It's hard to believe three years have passed since the launch of the original Razer Ripsaw capture card. Though we now consider it one of the best capture cards for streaming, I bought one at launch and vividly remember its rocky debut. Thus, aiming to make amends in the capture card space – and, by extension, the streaming market at large – Razer has released a new model called the Ripsaw HD. When it initially hit store shelves in March 2016, the first Razer Ripsaw had a niche focus. Its goal was to be the capture card for every console, including legacy and some retro boxes. Differentiating itself from the Elgato Game Capture HD60, included in the $180 Razer Ripsaw package was a component adapter, for older consoles such as the PS3, in addition to HDMI for recording and streaming gameplay on the Xbox One, PS4, and now-deceased Wii U. For that reason, I lauded the Razer Ripsaw for its backward compatibility. That is, until I used it myself. Because it leveraged USB 3.0 oomph, the Razer Ripsaw promised higher performance than the USB 2-equipped Elgato HD60 of the time, with "nearly zero latency," while capturing gameplay at 1080p 60fps. However, when I unboxed and set up my own, my streaming experience was hindered by a seemingly widespread freezing issue. After a few days, convinced it was defective, I exchanged my Ripsaw for a new one. Same problem. It wasn't a great start, so how does the HD version hold up at launch? Having streamed and recorded over an hour of footage from the new Borderlands: Game of the Year Edition on Xbox One yesterday, I can say for certain that the Razer Ripsaw HD is a marked upgrade over its predecessor. Long gone are the days of refreshing my stream every 60 seconds just to keep it from spiraling into gridlock. The Razer Ripsaw HD ditches the USB Type-B to USB 3.0 Type-A connector of the past in favor of more robust, not to mention contemporary, USB-C to USB-A 3.0 cabling. Better yet, it has two separate jacks accommodating mic and headphone input, for "hassle-free" hardwired audio mixing. While it fails to register anything over 1080p in terms of recording, the Razer Ripsaw HD is perfectly capable of 4K 60fps passthrough. In fact, that's one of its main selling points. On your end, as a streamer, you don't have to dumb down the resolution on your PS4 Pro, Xbox One X, or even your gaming PC, in order to play games at above-1080p resolutions. Simply plug your console into the card, plug the card into your TV, and you're good to go. Of course, your viewers won't have the luxury of watching a crisp 4K stream, but rest assured, you'll benefit from the sharper visual fidelity on your end. Despite abandoning the first Ripsaw's platform agnosticism, meaning there's no component cable bundled in this time, the Razer Ripsaw HD does undercut the most recent Elgato HD60 S at MSRP. Whereas Elgato suggests a towering $179.99 price tag for its mainstay, the Razer Ripsaw HD is available for $159.99. That said, you can often find the Elgato HD60 for much less than full price, so the cost saving is negligible. Besides the fact that it's not hugely more affordable than the comparable Elgato HD60 S, my biggest lingering concern about the Ripsaw HD is its lack of integrated software. It's weird to me that Razer, the company that put Synapse on the map, made yet another capture card that relies on OBS and XSplit for the actual act of broadcasting. Now, I like XSplit – clearly, seeing as I splurged on a lifetime premium license a few months ago – but Elgato's Game Capture software is leagues more intuitive for console gamers. All in all, much as it improves on the groundwork laid out by its precursor, the Ripsaw HD still has room to grow. 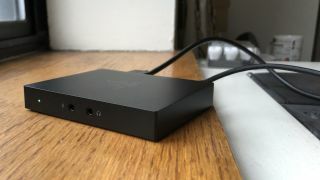 For those who detest the proprietary software popularized by Elgato, Razer's capture card is no doubt the better piece of hardware, compared to the HD60 S. Be that as it may, I'm not sure the convenience of 4K 60fps passthrough and built-in audio mixing are enough to warrant what is in reality a $10 premium, especially taking into account the notable lack of bundled software for streaming and recording. I'm personally saddened there's no longer a reputable option for capturing gameplay on legacy consoles. My PS3, which I bought in 2012 and now houses a large portion of my classic game library, will continue collecting dust in my closet. Here's hoping that, in the future, Razer revisits the ethos of the first Ripsaw capture card, extending support to consoles and PCs both old and new. Because although the Razer Ripsaw HD says it's compatible with "next- and last-gen consoles" on its official landing page, the PS4, Xbox One, and Nintendo Switch examples provided are all current-gen by definition. Nevertheless, I welcome the competition. Perhaps in a few months, when the price drops, the Razer Ripsaw HD will top off our list of capture cards, and reclaim the hard won reputation of its precursor.